The shift from 2012 into 2013 will prove to be very significant indeed for our love life, and all our relationships. Back in October of last year, Saturn the planet of Karma, lessons and teachings moved from Libra into Scorpio. This introduced a huge and powerful shift energetically. Saturn’s authority puts a restraining order on excess. This Planet holds The Universe in check. 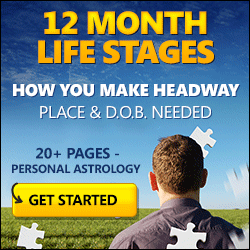 It is not always an easy energy, as we saw throughout the last two and a half years of Saturn in Libra. This stretch challenged recklessness and was a big wake-up call in so many ways. The Celtic Tiger took a dive and Saturn our conscience revealed the consequences of foolhardiness. Saturn’s buzzwords are *Do NOT*, which of course pushes buttons for many of us who question authority and value our freedom. This may be an energy which is repressive and depressive, or comforting and providing useful boundaries. It all depends how we respond and work with it. Like an autocratic parent, this Ruling Planet is good to have around in a crisis. But this kind of repression can be debilitating when we need to muster self-confidence. Balance is crucial in the face of Saturn’s warning flag. It is advisable to take the hint and put the brakes on questionable behaviour. But it is equally important to resist Saturn’s bullying. Saturn can be intimidating to the free spirited. It may, if not balanced within our psyche, undermine weak self-esteem, heightening self-doubt and confusion. Through 2013, we are going to experience BIG adjustments, shifts and changes in circumstances that are most definitely beyond our control. The key is to be accepting and allowing of all the challenges. They are not negative, they are simply a wake-up call to deal with anything that is not quite right, or is past its sell by date. Saturn’s influence becomes negative if we resist it, or do not work with it. When we exercise The Law of Neutrality this can be a very positive restructuring influence indeed. So ask yourself, are you afraid of change? Are you hiding secrets even from yourself? Are you with someone who does not really turn you on, just because it is easy, comfortable and provides security?